What will Microsoft Dynamics 365 give me that I don’t already get today in an ERP system? will bring together the best of Microsoft’s CRM and ERP cloud offerings into one cloud service via Microsoft Azure with purpose-built apps for each of your key business processes – i.e. Finance, Sales, Customer Service, Operations, etc. will also provide you with a modern and familiar experience with built-in insights, intelligence, and workflow. To ensure interoperability and extensibility they also use a common data model and consistent application platform. Start with what they need by offering apps that fit roles, industries, businesses – and grow at their pace to run their entire business (ERP system) in the cloud. That means you can start small with the right fit for your role, industry, and business and pay only for what you need. Yet they work together seamlessly and fit with your existing systems, so as your business demands, you can grow into additional capabilities with ease and run your entire business in the trusted Microsoft cloud. Enable greater productivity where they need it by connecting structured workflow of business applications (Dynamics 365) and processes with the unstructured work of collaboration and productivity (Office 365) so employees are empowered with productivity tools surfaced in the context of their business processes, and vice versa. Gain built-in, actionable, intelligence with business applications that infuse big data, advanced analytics, and IoT into processes which proactively guide employees and customers to optimal outcomes.  With Dynamics 365, data and insights are transformed into intelligent action right where it’s needed, and without requiring an army of rocket scientists to make it happen. Ready for Growth – Dynamics 365 enables companies to adapt and innovate in real time with nimble, adaptable applications so you can compose, modify and extend processes. Business users are empowered to change and adapt without IT. And you can reimagine your business model with a common data model and a flexible, extensible business application platform. For all of those current Microsoft Dynamics customers who are concerned about what’s going to happen with their GP, NAV and SL products, there is no reason to fear the new Dynamics 365 product. Before the end of this year, Microsoft is still planning to deliver GP 2016 R2, NAV 2017, and SL 2015 CU2. Plus you can find here more info on the future releases of each product by looking at the Dynamics GP roadmap, Dynamics NAV roadmap, & Dynamics SL roadmap. Microsoft Dynamics 365 is unique from all other ERP products because it empowers users to utilize the Microsoft stack and work inside of Microsoft Outlook while handling financials, sales, purchasing, CRM and other related tasks. Learn how the flexible features provided by Dynamics 365 can accommodate your ERP expectations.